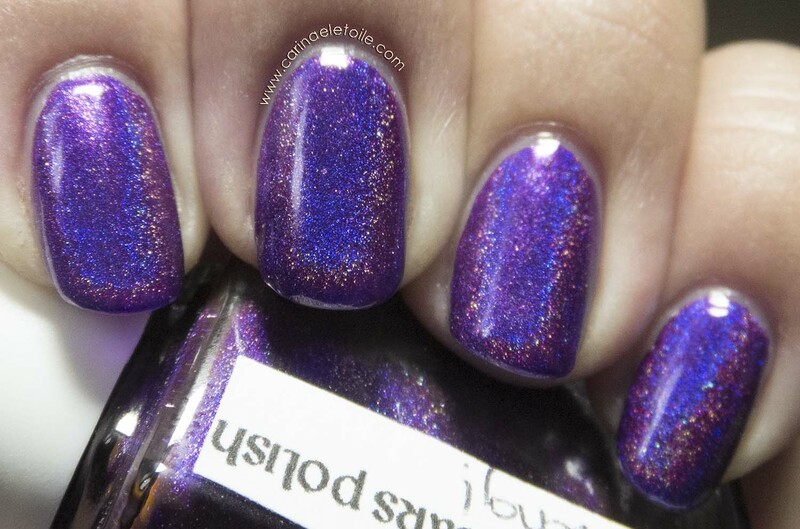 The Devil Wears Polish Dang is a gorgeous purple holo. Formula for this was such a breeze — easy to apply, no streaks and was opaque in two medium coats. 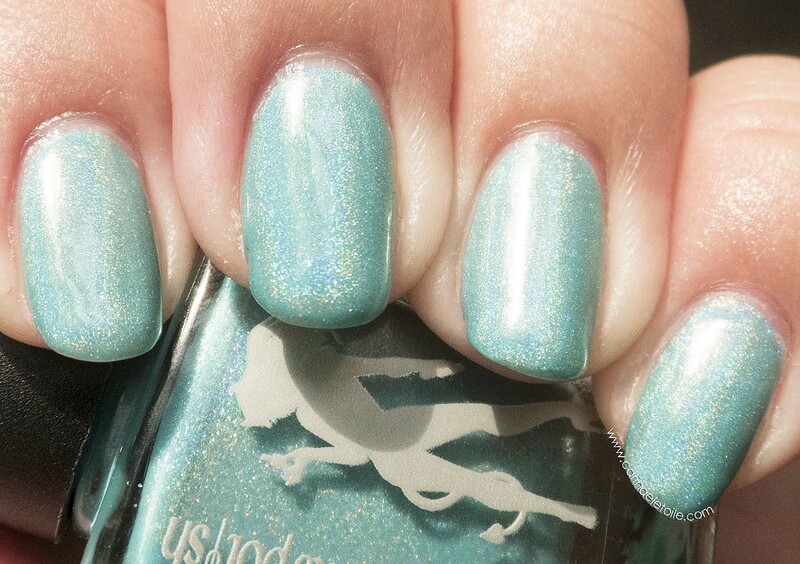 I fell hard and fast for The Devil Wears Polish Dang and I think you will, too. 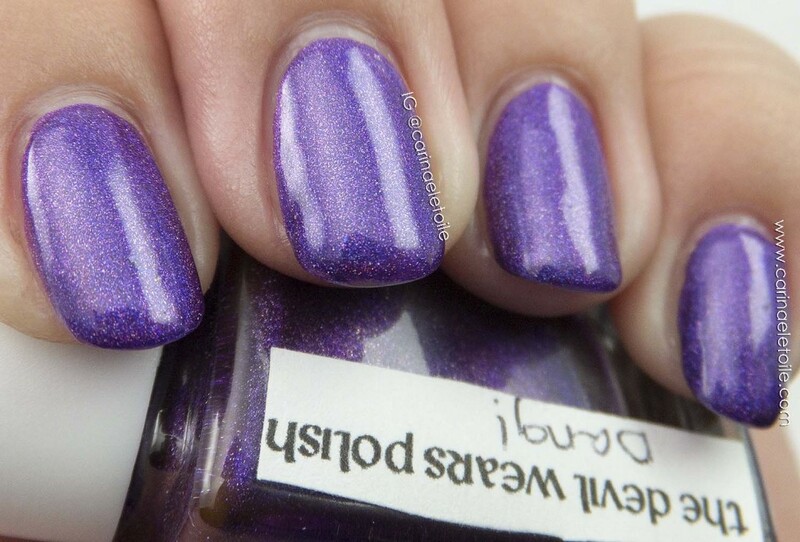 While I see a lot of red and purple in this, according to the Devil Wears Polish’s Storenvy, this is a purple with a hint of pink. All I know is, I really like this color. 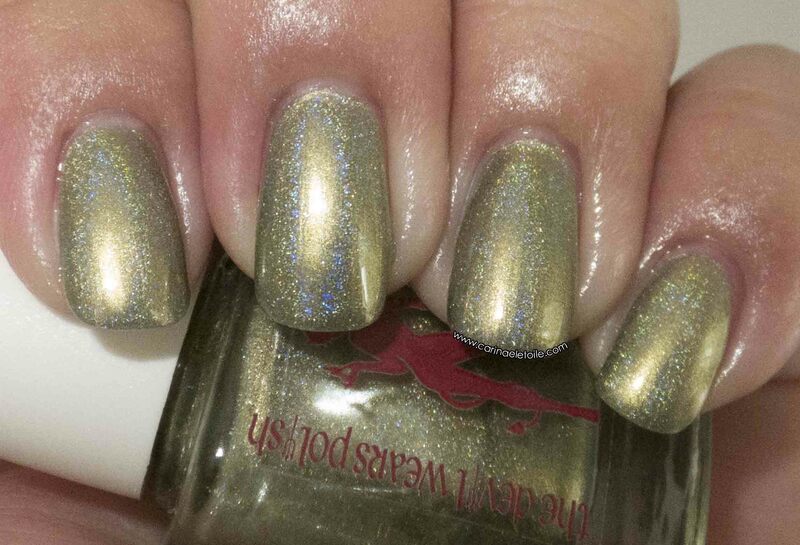 I do love The Devil Wears Polish’s colors and formula. If you haven’t tried any of her polishes, I strongly suggest you do. Now, come and see why I’m smitten. 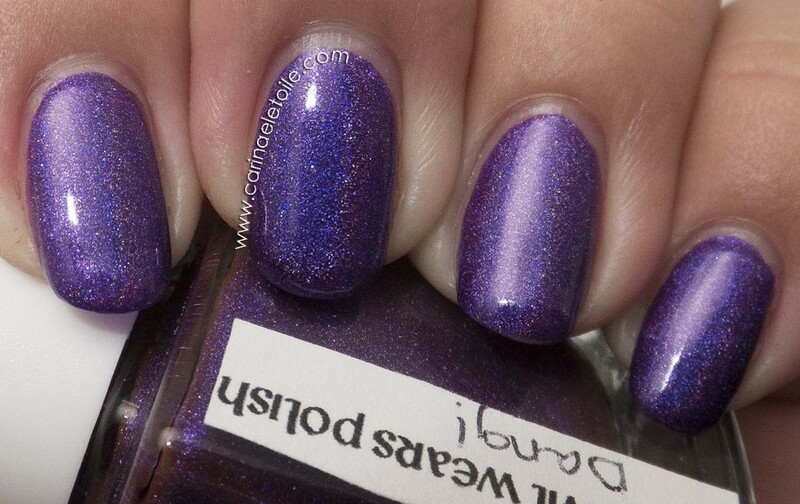 The Devil Wears Polish Dang! in diffused light. 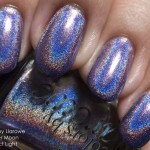 See some the holo trying to come out and play? Flash made The Devil Wears Polish Dang show her true colors. 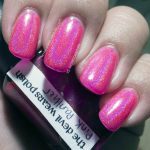 Direct Light shot of The Devil Wears Polish Dang shows the fiery holo goodness that is the nature of this gorgeous beast! Another direct light shot which shows a bit more depth and complexity of The Devil Wears Polish Dang‘s base. 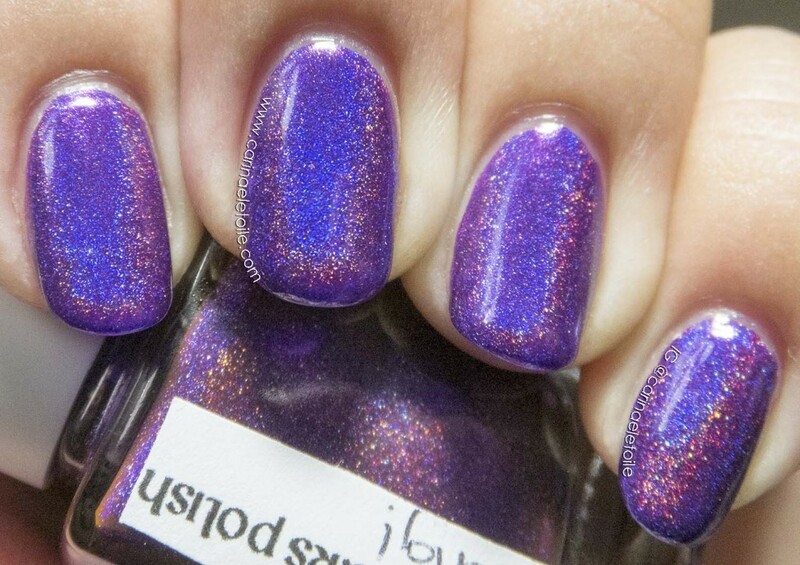 Now that you’ve seen The Devil Wears Polish Dang shine shine shine in my swatches, don’t you think you need her in your stash?